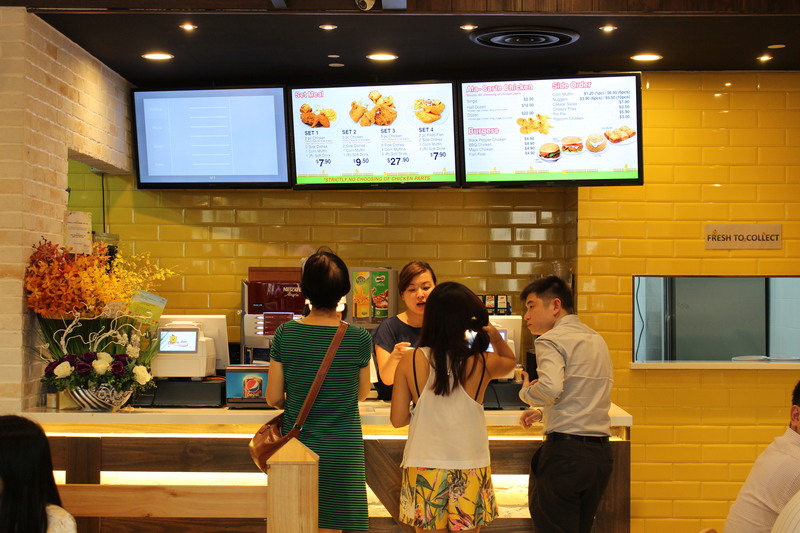 23/9/2014 – Originally opened as a stall in a coffeeshop at Ang Mo Kio, Chic-a-Boo Fried Chicken, who is also run by Aston’s, decided to relocate to the newly opened hillV2 with air-condition, plenty of seatings and NETS top-up facilities. The Set A ($7.90) consist of 2 pieces of fried chicken (mixing of flavours of fried chickens are allowed; 1 piece of Special and 1 piece of Hot & Spicy fried chicken are chosen), 2 selection of side dishes (sweet potato fries and TCO salad are chosen), 1 corn muffin and a drink of your choice. 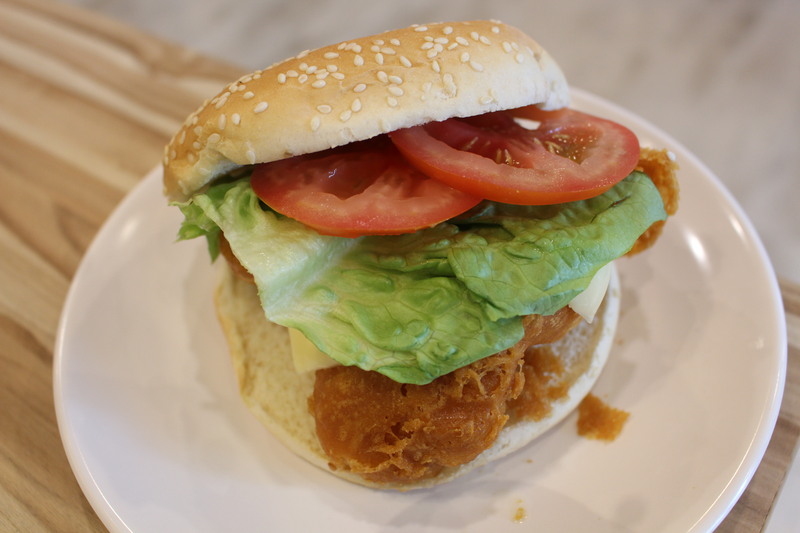 The Special chicken is the KFC equivalent of the Original chicken, except that the skin is more crispy instead of being salty. The Hot & Spicy is the KFC equivalent of the Crispy chicken, with the former being slightly more spicy. The fried chickens are marinated nicely but are not thorough as some parts are more flavourful than others. 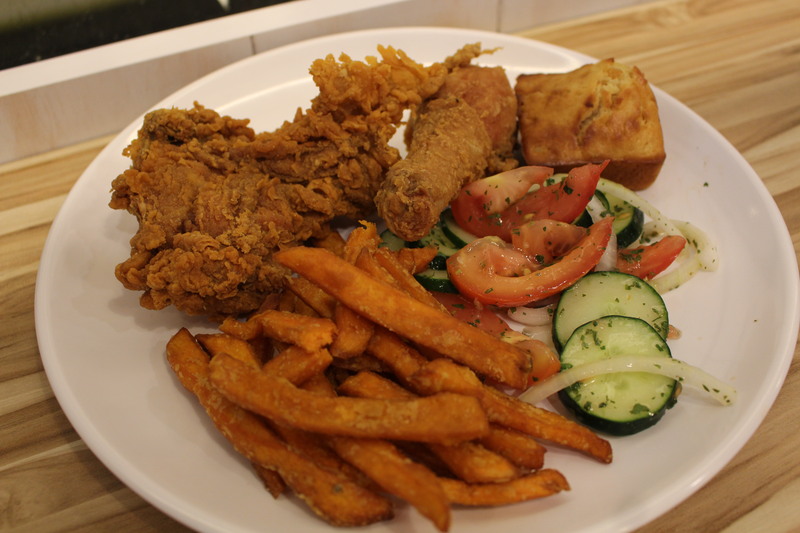 The sweet potato fries are normal while the TCO salad has a zesty, tomato and sour taste to it. 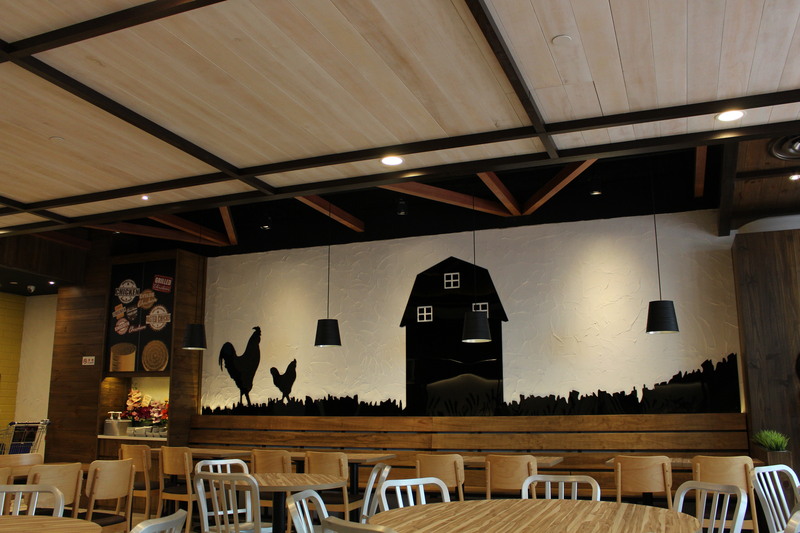 With no other fast-food restaurants within the mall, residents of Hillview now has a fast-food place that is within walking distance from their home. 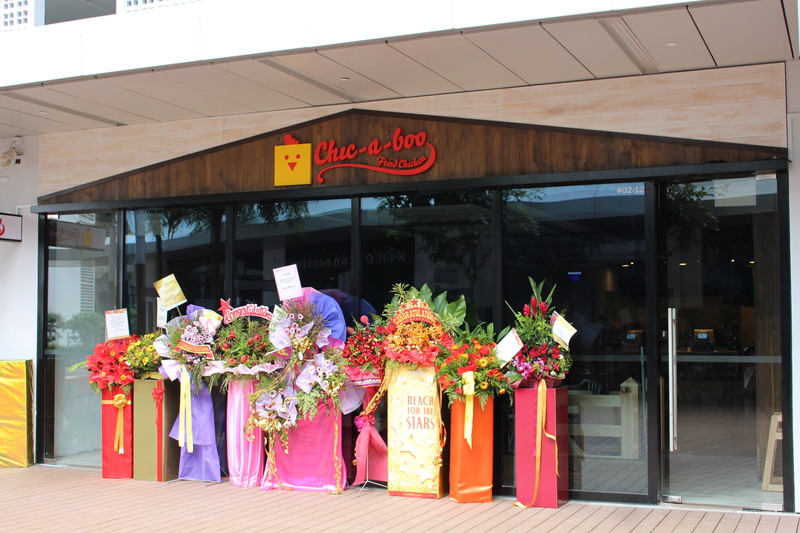 If you are near to Hillview / Bukit Panjang / Bukit Timah / Bukit Batok, why not give Chic-a-Boo a visit?